Paciﬁc Media Centre | articles: NEW CALEDONIA: Decolonisation vote looms - what lies ahead? NEW CALEDONIA: Decolonisation vote looms - what lies ahead? 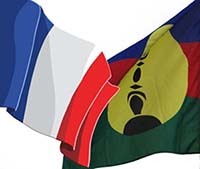 NOUMEA (Asia Pacific Report/Pacific Media Watch): In France’s most far-flung territory, Kanaky/New Caledonia, this year’s Bastille Day celebrations earlier this month were as normal, though technically at least, those might have been the last as the national day. Lee Duffield who has been in New Caledonia watching the lead-up to the referendum on independence set for November 4, says a “yes” vote would overturn decades of deal-making and compromise. In a three-part series in the Pacific Media Centre’s Asia Pacific Report, journalist and media academic Dr Duffield talks to all sides and provides a nuanced analysis of the future for this territory of 300,000 people – which vies with Tonga as being the closes part of the Pacific to New Zealand. “The Quatorze Juillet (14 July) events as in any small French city reflected the grand military parade down the Champs Elysees in Paris – ranks of soldiers and a senior officer taking the salute,” writes Dr Duffield, a research associate of the PMC and an editorial board member of Pacific Journalism Review. “Not that a full independence is greatly expected from the coming vote, mandated under agreements made by the country’s political groups with the French government – the Matignon Accord (1988) and Noumea Accord (1998). “Opinion polls have been running strongly against it and even many in the indigenous Kanak community can be heard to say it is ‘not yet the time’.